The majority of humans now live in or near cities, which results in us importing more and more of our food from distant areas. Local food production is a solution that can solve this, one application being considered is the concept of vertical farming. But, could it work? The idea of stacking growing space to fit into a city lot has been gaining in popularity in recent years, most notably with the 2010 book The Vertical Farm by Dr. Dickson Despommier. I’ve recently received a copy of this book and will be reviewing it in the near future, but for now I’d like to present the general concept and examine how it could work; both logistically and economically. One of the initial claims coming from skeptics is that a farm is nowhere near profitable enough to match the earning potential of an office building or condominiums, which is possibly true. However, these structures may be more profitable than people realize. 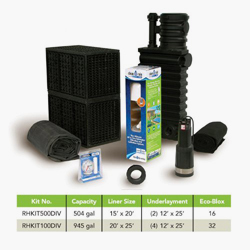 The secret to making this type of system work is aquaponics, which is the synthesis of aquaculture (fish farming) and hydroponics (soilless agriculture). Both of those systems have issues that need to be resolved; aquaculture produces water that is polluted with fish waste, and hydroponics uses chemical fertilizers which are depleted as the plants grow. By combining the systems, each part solves the problem of the other. Beneficial bacteria convert the fish waste into plant food, and in turn the plants clean the water for the fish. The result is a closed loop system that produces high quality fruits and vegetables, as well as fish. Sounds good, but how does it fare economically? Very well, actually. Growing Power, a non-profit group in Wisconsin, operates a very successful 3 acre aquaponics operation that generates $200,000 per acre each year. Over 1 million pounds of food is generated each year, locally, organically and sustainably. This is enough to feed many people. Now, this isn’t vertical farming, but it’s a step in the right direction, and indicates the idea could theoretically pay for itself. There are still some issues that need to be addressed such as sunlight access, energy requirements, nutrient supply and food distribution, but I’ll cover those topics in my upcoming review of The Vertical Farm. 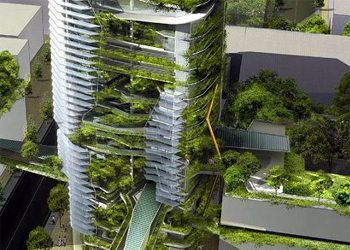 Will urban vertical farms replace traditional farms? No, I doubt it. However, if certain crops were grown in them that we currently import from far away, then they could still significantly reduce our food-related carbon footprint.